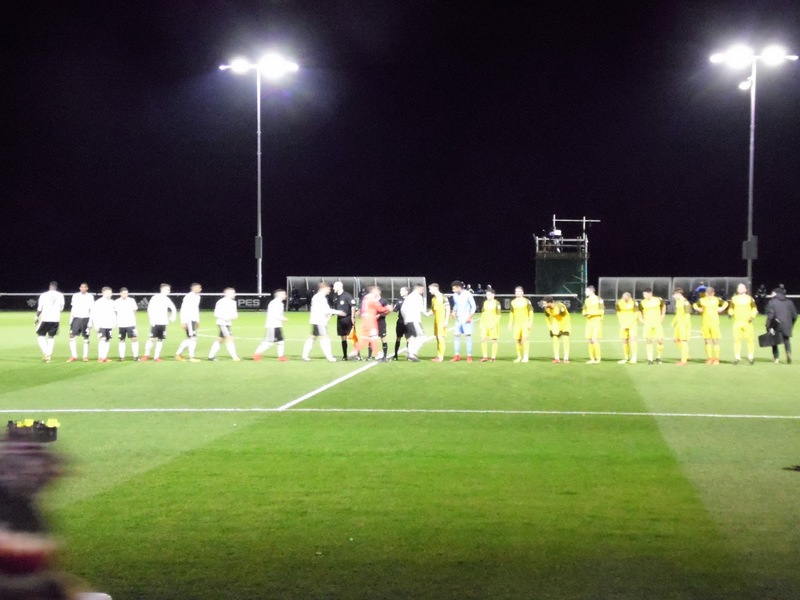 Fulham FC have long had a reserve team, although records on their exploits are very limited. The early 1900s saw them have two teams, playing both in the Southern League and London League. They were Southern League Division 2 champions in 1905 and London League Premier Division champions the following year. The 1980s and 1990s saw them compete along with my own team Wycombe Wanderers in the Capital League and the clubs met a number of times over the years. Large financial investment saw them rise to the top two tiers and in turn, they have joined the Premier League's academy setup. 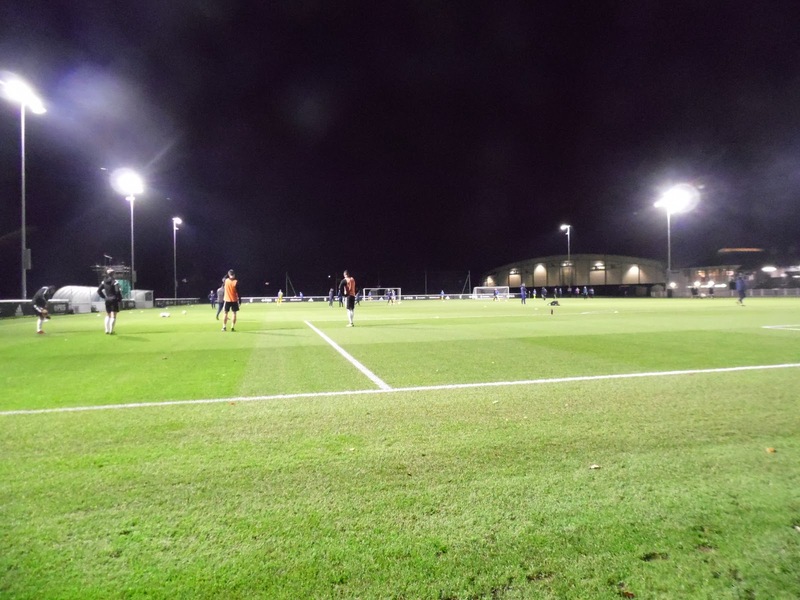 In 2002, they joined the FA Premier Reserve League South, staying here until 2012. Finishes ranged from a runners-up spot in 2003 and 2012 to a bottom-placed finish in 2003. Clashes with Wycombe include the 1997 Doxhill Cup final, which Wycombe won 2-0. 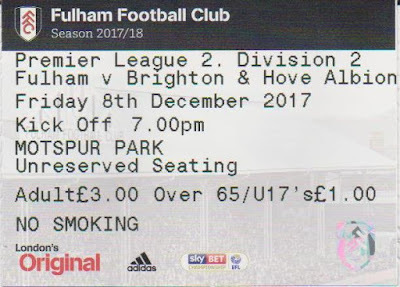 Sadly, I couldn't find a report for that game, but I have found a clipping from less than two years later where the Cottagers backup team got their revenge, thumping us 9-0. I always love a bit of Friday night football, but this Saturday appeared to have drawn a blank. 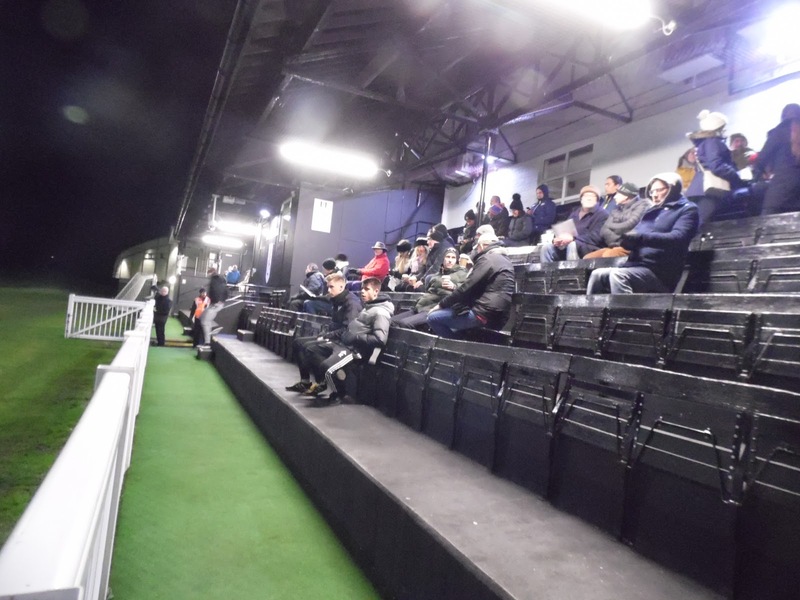 That was until Sutton United fan and fellow hopper Ryan contacted me to tell me that he was attending the Fulham v Brighton & Hove Albion U23 game, being played at Motspur Park. Despite being Fulham's training ground, it was actually a worthwhile venue and would be a decent setup for a step 5 team from what I'd seen. I decided it would be a nice trip on the train, the only doubt being the weather which had decided to suddenly suffer a big freeze. I decided that I'd just keep my eye on Twitter to minimize my chances of a wasted journey. The days before were very busy with work, a game at Bromsgrove, as well as catching up on my blog. 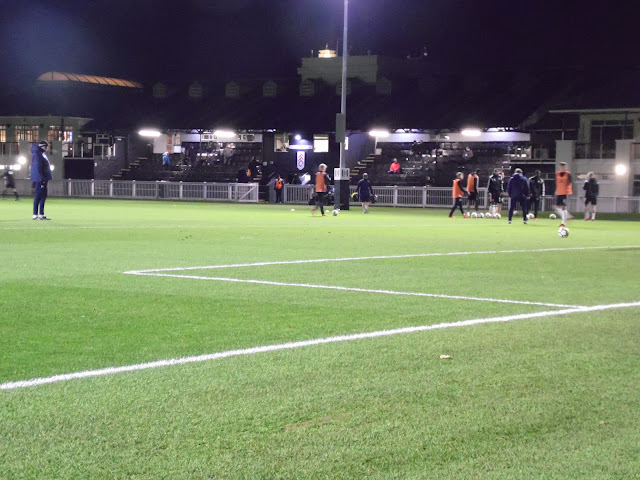 I did at least manage to get some of this blog done, recalling the time when Wycombe's reserves were hammered 9-0 by their Fulham counterparts. It was a busy day at work on Friday and as a result, I didn’t get home until nearly 2. There was just time to catch up on things and have a bath and a change of clothes before heading out at 3. I had to collect a prescription on the way, but with that done, I headed to the station, arriving just before 3.30. I got to the station in the nick of time, getting the 3.36 to Marylebone before changing again at Victoria before I got my final train to Raynes Park. Getting the train on this occasion was actually slightly more expensive and time-consuming than driving, but the ability to be able to put my feet up and type my blog, rather than get annoyed at the Friday evening traffic made it worth it. 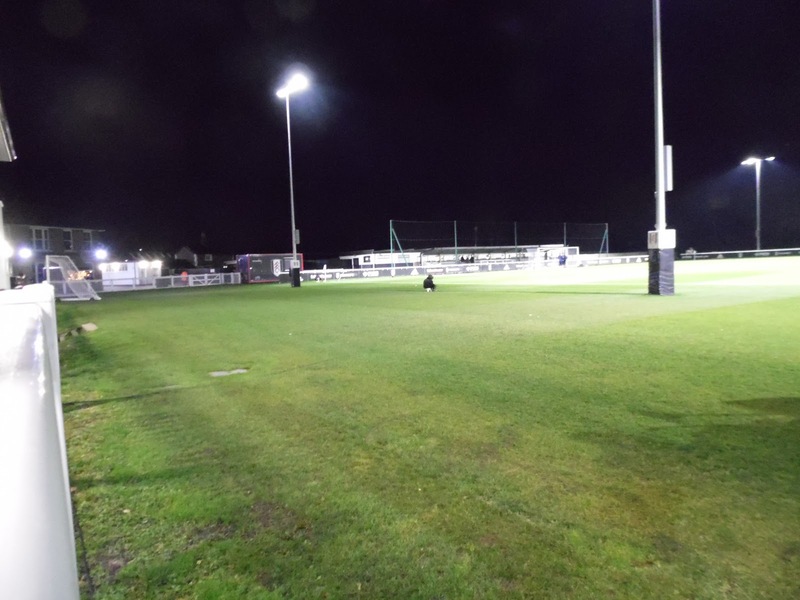 On the journey, I decided my game for tomorrow - Forest Hill Park v Stansfield. 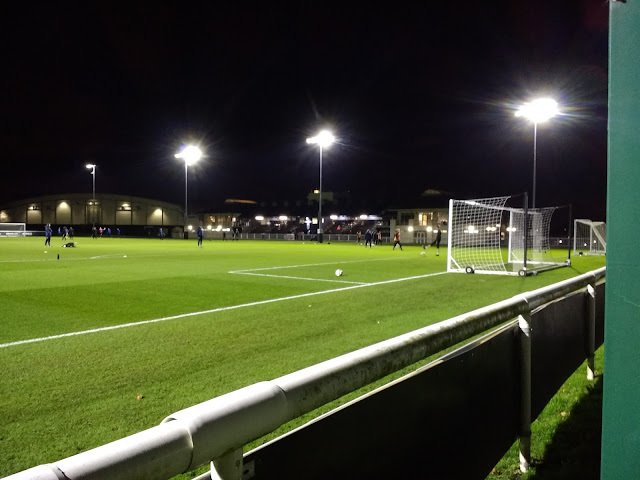 It was far from the best ground, but there were a couple of good pubs nearby, plus a couple of 3G backups not far away. It would be another train trip too, something I was enjoying after a recent large bill for my car’s service and MOT. 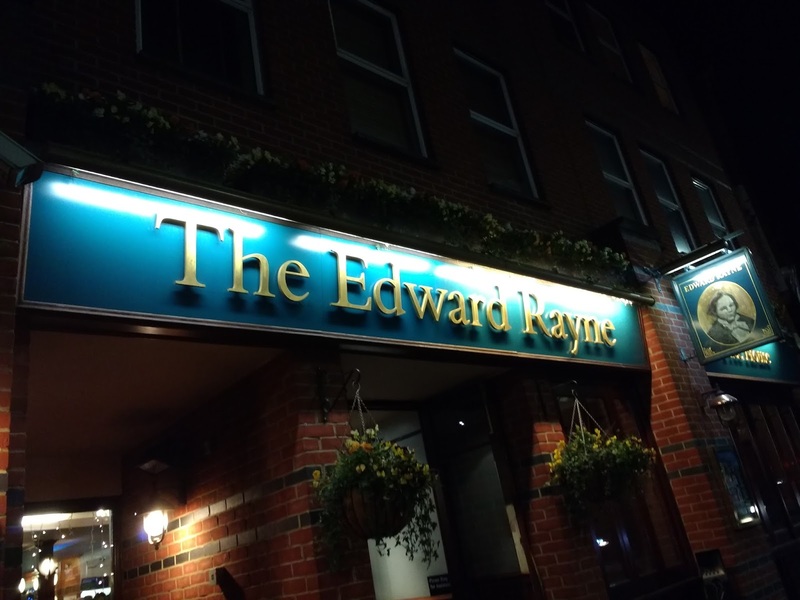 I got to Raynes Park at 5 and headed for what was my 150th different Wetherspoons - The Edward Rayne, named after the shoemaker who had emigrated from the USA to the UK to start up his business. It was busy, but well above average. 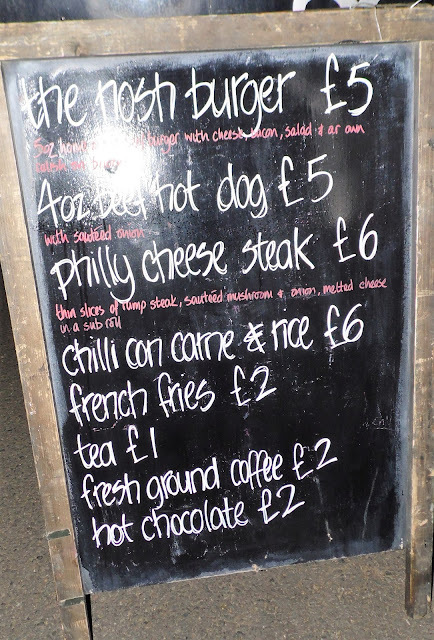 To start, I had a pint of Thatchers Gold, along with the Brie and Bacon Christmas burger. My second was a nice pint of Marcle Hill, a retry but very nice all the same. 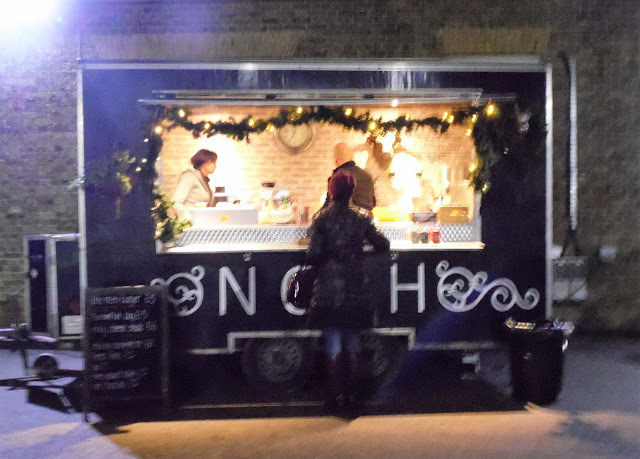 Finally, I had a small mulled cider to warm me up for the final leg of my journey. I got to Motspur Park station at 6.15 but then had a near 15-minute wait as the level crossing went through its machinations. Finally, I was on my way, getting to the ground at 6.45. After paying a very reasonable £3 to get in, I met up with Ryan and also a couple of new people - Trent and Tony the Torch. 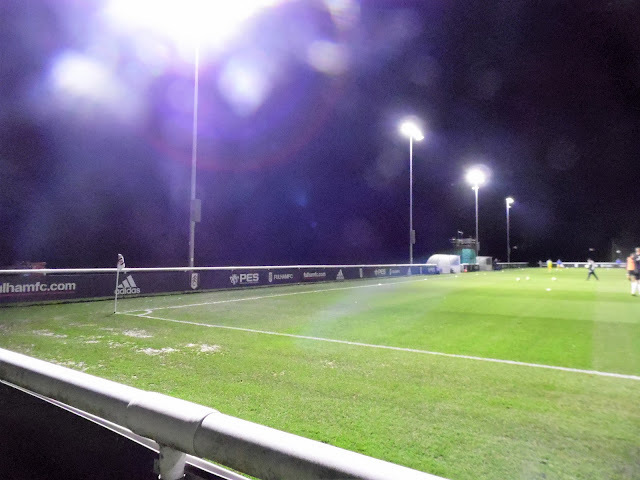 Myself and Ryan went around and got some pictures of the ground before sitting in the stand for the first half. The game was a turgid one, with very little attacking quality. 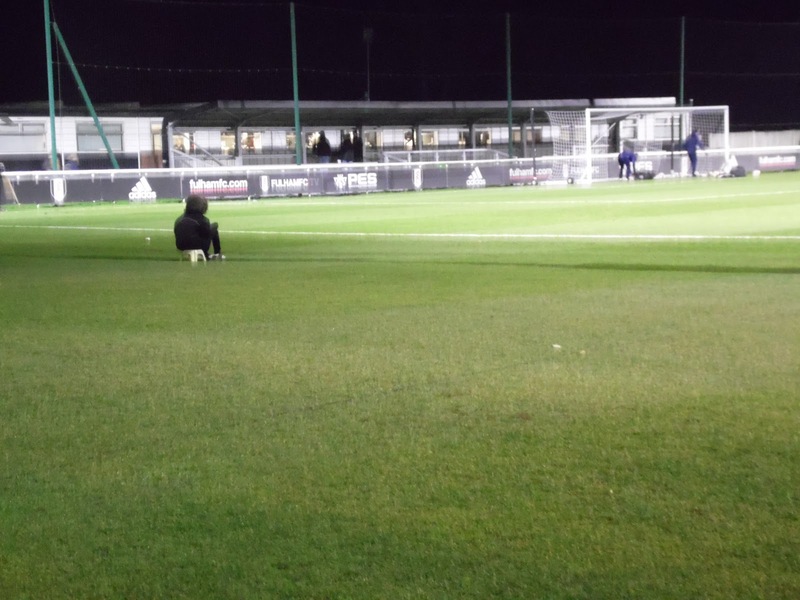 When the goal did come though, it was a cracking effort by the Icelandic forward Jon Dagur Thorsteinsson who curled a shot home from the edge of the area. 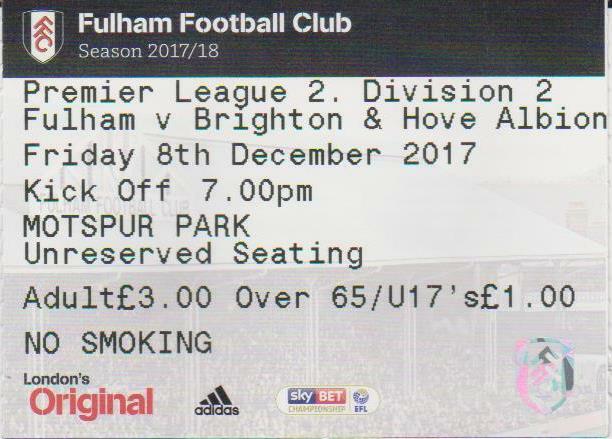 The hosts had started to have chances by now, but Brighton seemed content to soak up the pressure. 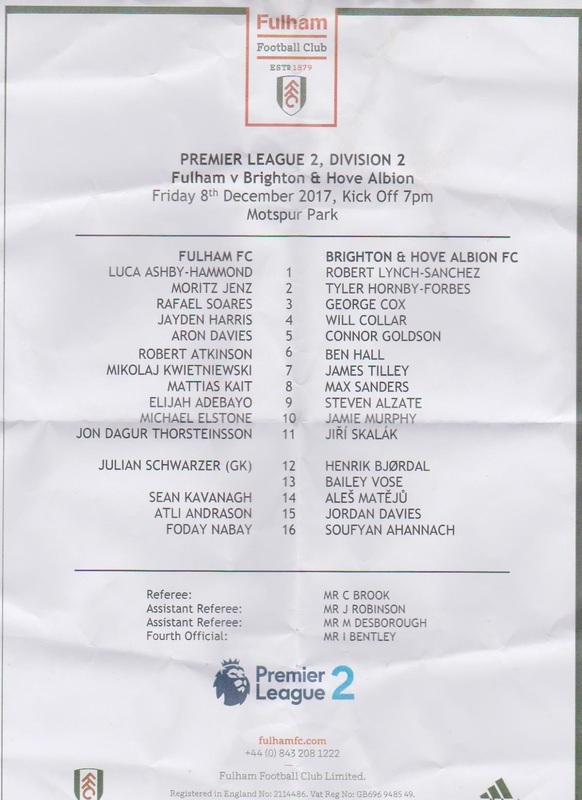 The second half improved a bit, Fulham having the better chances, but it was Max Sanders who equalised ten minutes from time with his low shot getting Brighton’s equaliser. The hosts had a chance to win it, but a good double save from Brighton keeper Robert Lynch-Sanchez ensured the points weee shared. This ensured both teams continued their unbeaten runs, but it was far from inspiring fare. 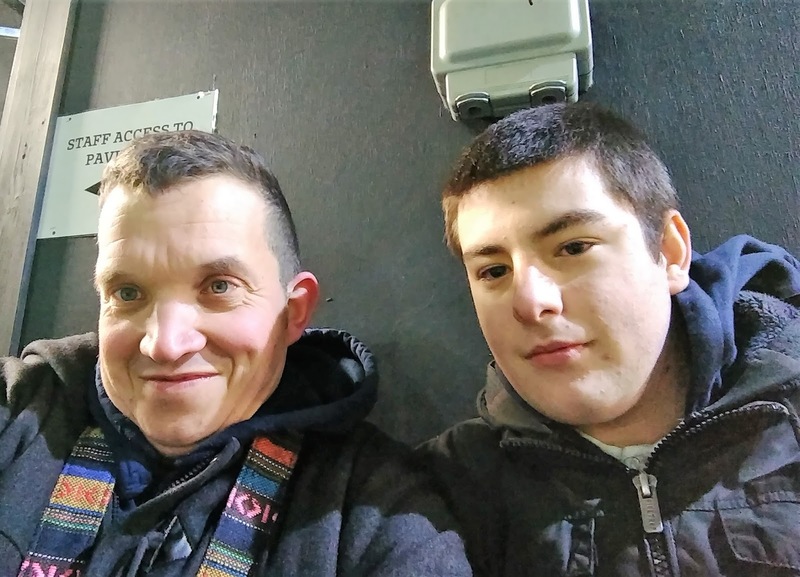 The company had been good though and with Ryan and his dad leaving 10 minutes before the end, I chatted to Trent about 1990s Fulham players that I recalled from past games watching them. There were plenty of delays and it wasn’t until 8.55 that I left. There was another lengthy wait at the level crossing, so it wasn’t until 9.15 that I got my train to Waterloo. I got there about 9.40, from where it was a long walk to the platform to get the Jubilee Line to Finchley Road. Astonishingly, the last two trains were almost instant with the last leg to Amersham more often than not involving a long wait. I got back to Amersham at 11 and was home 20 minutes later. I stayed up for a few hours, having a couple of drinks while I watched Corrie and typed my blog. 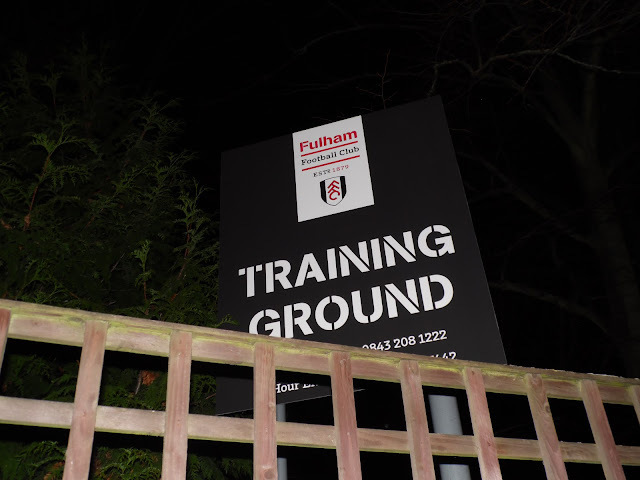 MOTSPUR PARK is Fulham’s training ground first and foremost, so it’s not really designed with the fan in mind. Even so, it’s a pretty smart venue, with a couple of areas of cover. 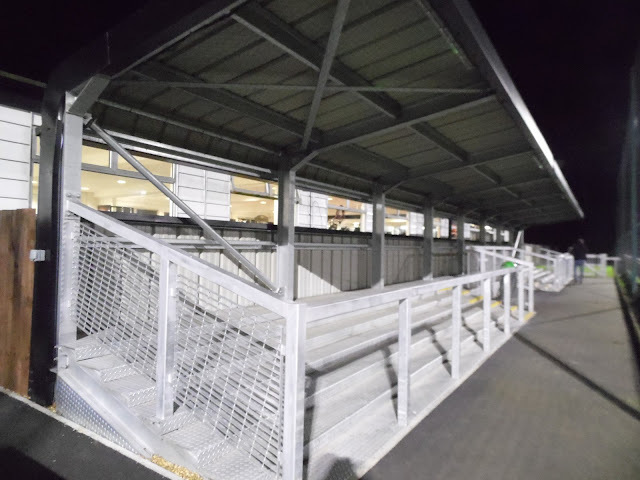 The main stand has a capacity of 300ish and is built into the changing rooms. I believe the seats have been rescued from the old Johnny Haynes stand at Craven Cottage. There is further cover behind the the goal in the form of a metal terrace, this holds around 350. The best of the ground is open flat standing, with just the two sides open to spectators. The capacity is around 1000, with a tea bar being provided. 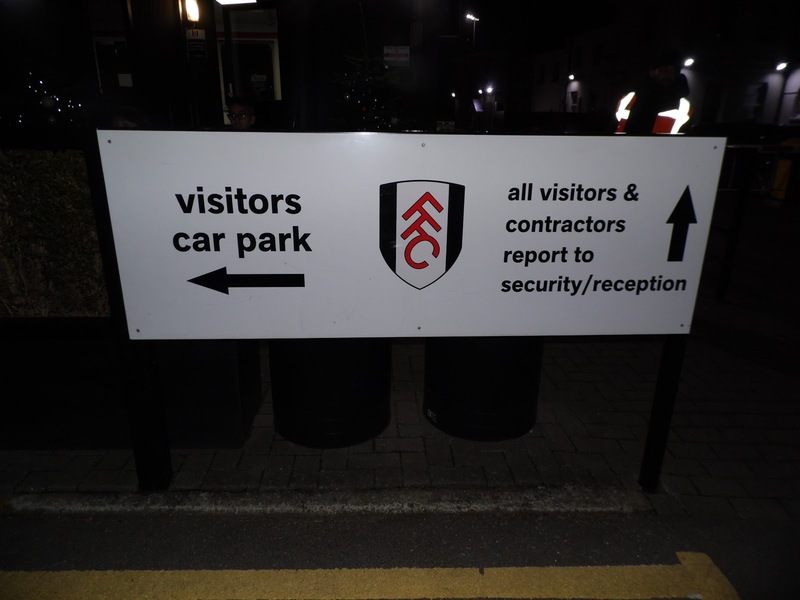 Apart from that, it’s a 10-15 minute walk to Motspur Park station where a number of pubs and takeaways can be found.